A piece to dance the night away with. 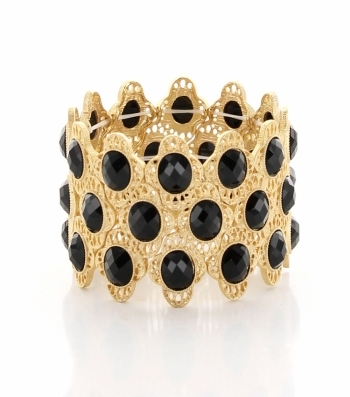 The Ariel bracelet is a to die-for manifestation of black faceted resin stones on filigree gold metal casting, paved in a gorgeous arrangement on stretch. Slip it on with that little black dress. Get fantatsic value when you buy your fashion bracelets at Oz Bling.